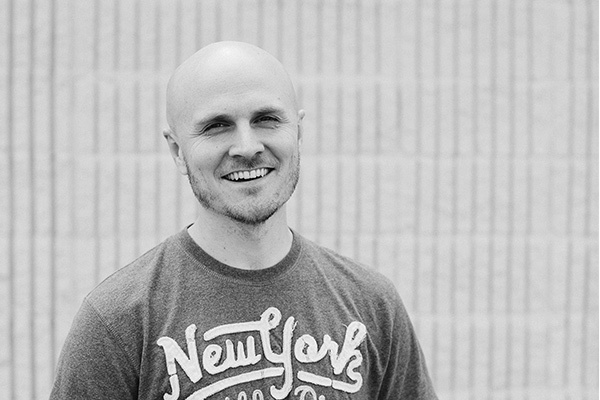 Nathan's love of teaching and sharing made him a great fit to join our team as a developer. Meet this dedicated dude. Nathan is the epitome of dedicated. He can be so laser focused while he’s coding that it’s easy to miss him. But, for as little as Nathan tends to talk during a workday, if you start discussing a problem that needs solving or the right way to build something, he’s a total chatterbox. Get him talking about coding, teaching/sharing, or his family, and that spark of excitement is clear. Like many other seasoned web professionals, Nathan didn’t go to school for development. Instead, coding was a self-taught hobby when he worked to make his first site as a missionary in Cambodia. His hobby developed into a huge passion as he worked in an office and did development on the side. And that passion eventually took over as his career when he started his own business. Since then, he’s gained a ton of both backend and frontend knowledge that will serve our clients well. It was his love of teaching and sharing that made Nathan such a great fit for the Sparkbox team. He appreciates our passion and culture for learning and sharing what we’ve learned. And Nathan himself has done a lot to share with the web community in Dayton by co-leading the Dayton Web Developers meetup for five years. You can also find him passionately teaching at his church most weekends. Nathan’s family has taken over the Sparkbox title of biggest brood, since he and his wife are expecting their sixth child in the spring. And his huge family is hugely important to him. Much of his time out of the office is spent going on fun outings with the family to places like the Rankin House and enjoying festivals and fun, educational family stuff. So, if you’re looking for a fun place to go in Ohio this weekend or want to debate ways to solve problems, drop Nathan a note.